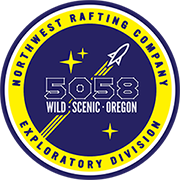 Celebrated by Zach Collier and Emily Little on February 20, 2018 by paddling from the bottom of the gorge to Westfir. 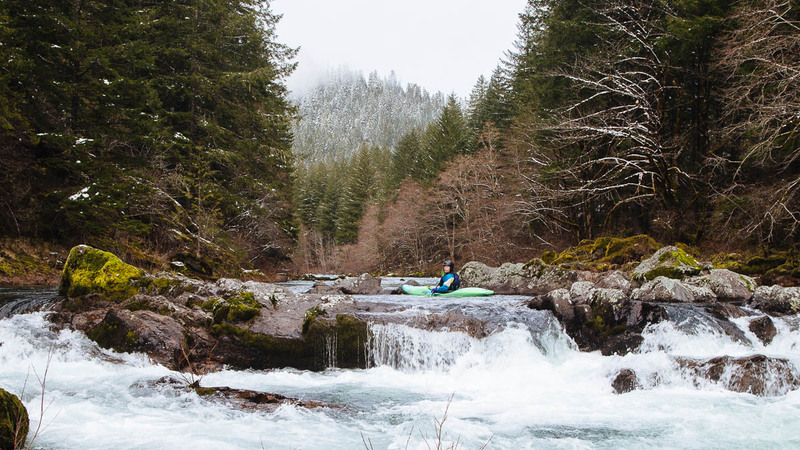 Emily Little: The rivers flowing from the Cascade’s typically yield beautiful blue water flowing through stunning geology. 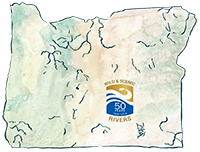 The North Fork Middle Fork of the Willamette is one of these rivers. We paddled below the more well known “Gorge” through the class II/III section. 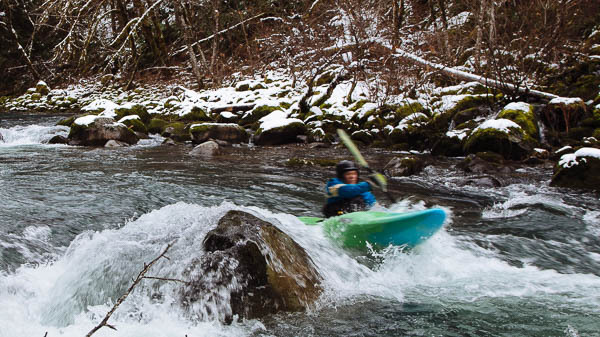 There were quite a few fun rapids scattered throughout this 8 mile stretch along with great views snow covered trees. It looked like a great river for fishing, with big deep pools. 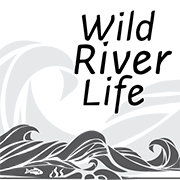 After our paddle, we drove up and checked out the Miracle Mile, a stretch of river I will definitely be back to paddle!